ACCEPTS 6'' PIPE ON 1 SIDE! The Polylok drainage boxes are the most versatile boxes on the market today. This Polylok 7-Hole Drainage Box comes complete with a solid cover and (7) pipe seals which accept any 2'', 3'', or 4'' pipe. This box also can accept a 6'' pipe on one side. The 6'' seals are sold separately. 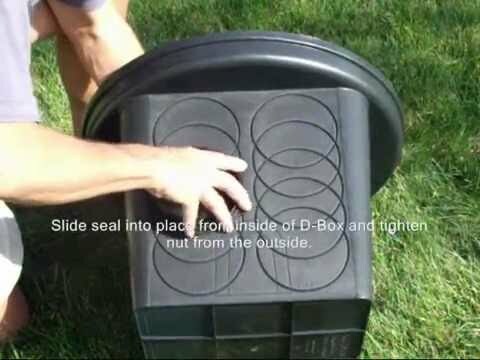 This box can be used as a 2 Hole, 3 Hole, 4 Hole, 5 Hole, 6 Hole, or 7 Hole drainage or drop box. Accepts 6'' Pipe on One Side- 6'' Seals Sold Separately!